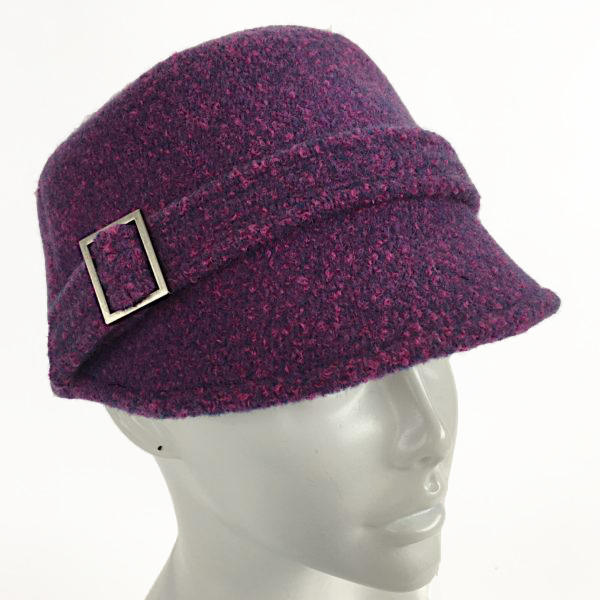 We call this cap a Kepi, after the old French military hats. We begin with felt that is handmade on a FeltLoom. We layer soft merino wool on top of this wool woven fabric and felt the two together on the FeltLoom, resulting in a soft, felt-backed fabric you see here. We then cut and sew this hat to a pattern created by Nora. 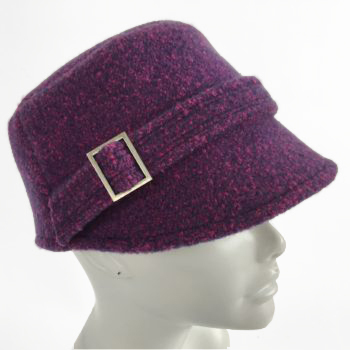 This is a soft, cozy hat that can be tightened with the adjustable buckle.